Technicians are a different breed. Many are introverts who are content to stay in the back room pushing buttons and not talking to anyone. Many church techs have told me that despite trying, they have never personally led anyone to Christ—and it bothers them. God created us to worship Him, and we are doing so through our technical talents. But why didn't He create us to be platform speakers or missionaries who boldly go and teach the gospel around the world? After all, God gave us the Great Commission: "Go into all the world, and preach the gospel to every creature" (Mark 16:15). Believing they are missing out on fulfilling that commission can cause tech people to crawl into a shell and feel like they are just "doers," a service department whose technicians simply do what they're told. 1. Get acquainted with other teams. Make sure the tech team knows what the other teams are doing and appreciates the contributions of their team members. Do this by forcing one-on-one engagement. Having prayer time together and a few minutes of interaction before rehearsal are positive ways to know what members of the worship, facility and other teams are going through. If possible, get the worship and production teams together for outings that build relational bridges. 2. Provide a path for ideas your team members propose. Don't kill the ideas proposed by the team, but encourage them and have a process for vetting them. Make sure the box that the team operates in is clearly defined, but leave enough room for creativity and freedom to make the work of the technician an art, not a job. 3. Refocus the team. Use a system to review what the teams are doing, and provide praise or correction as needed. Also, hold a brief meeting for the teams right before the service where you can provide a breather, pray a quick prayer for the service and refocus the teams on the real reason why they do tech. The real reason is because tech team members are a part of a ministry that, at its heart, fulfills the Great Commission. Most technicians have led many people to Christ by fulfilling their part in the service. Sure, it's important to have one-on-one contact with people and guide to Christ those who don't know Him. But when it comes to technical abilities and talents, why would these be any less of a ministry to the lost than the pastor preaching? I don't believe it is less of a ministry. The work of a technician is just as much a ministry to others as is a missionary who travels around the world or a pastor who speaks from the platform. I believe many souls have been won to Christ through the ministry of tech. 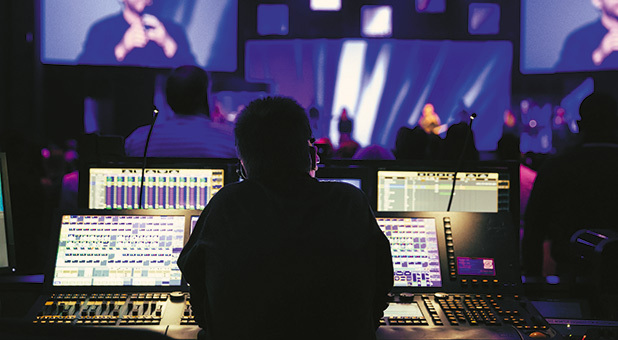 If it were not for technology, how would multisite video church happen? 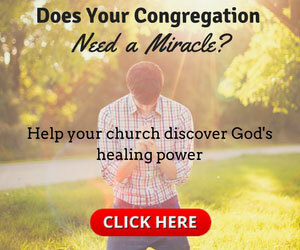 How would ministry tools like CDs be available to hand to our neighbors? Digital witnessing through sermon podcasts or webcasts sent around the world in seconds means a church has an international outreach without the church tech leaving town. None of that would happen without a technician willing to come in early, stay late and work hard to fulfill what I like to call the "digital great commission." Knowing this should reframe the mindset of the tech team member, no matter his role. This way of thinking should drive the tech team, giving the team a mission, a vision and a goal. It changes how team members act, react and interact. Their job is now more than pushing a button or moving a fader. Through the use of technology, their role is to paint an atmosphere of worship that helps engage or introduce every soul to the Holy Spirit. That's the digital great commission. Let's fulfill it. David Leuschner is associate senior director of technology and technical arts at Gateway Church in Dallas/Fort Worth. He directs more than 500 volunteers and staff to facilitate several hundred events a month for Gateway's seven venues. Follow him on Twitter and Instagram (both @davidleuschner).